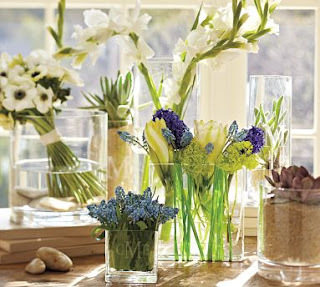 Everyone needs an assortment of great vases for creating artful displays of flowers or dried botanicals. Add a personal touch to your collection with Pottery Barn monogrammable Square Vases. 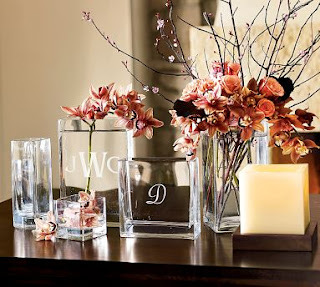 Contrasting rounded interiors and square silhouettes make displaying floral arrangements easy and elegant. 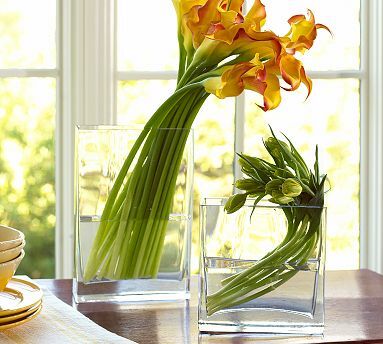 Heavy bases and handblown sides support delicate dahlias as well as flowering boughs. 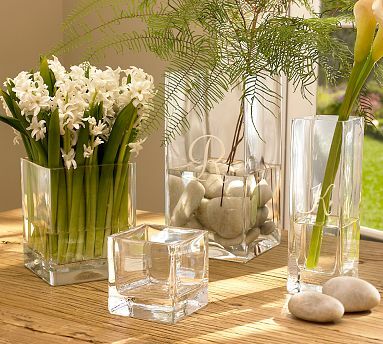 All vases available at Pottary Barn and my store.